Photo by Willoughby Gullachsen, no reproduction without permission. This photo was dates from the late 1980s. 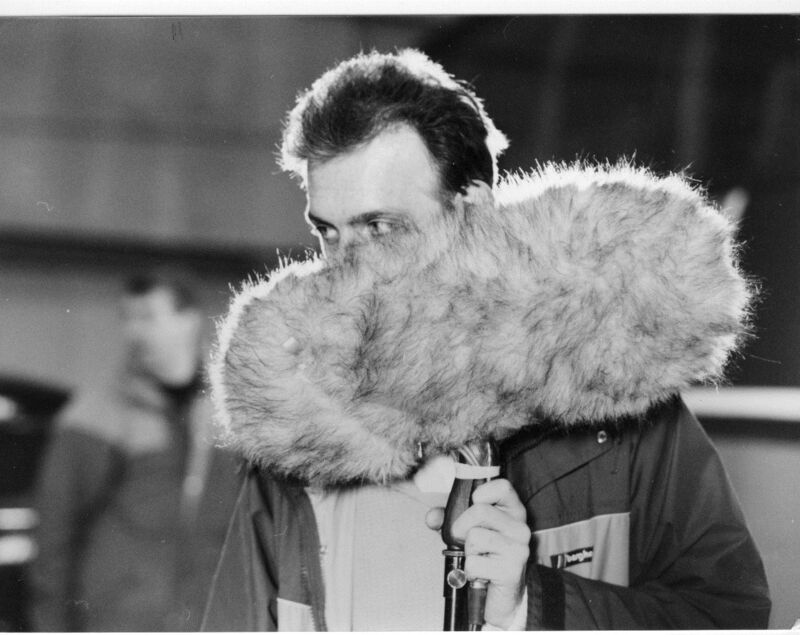 The soundman is Hugh O’Donnell, and the drama is probably ‘Shalom Salaam’, working title ‘Coming Together’ – I think it’s a great photo! Thanks to Dave Bushell and Bev Dartnall for identifying who it is of.